With the hasty growth in eCommerce, online shopping has also changed a lot. 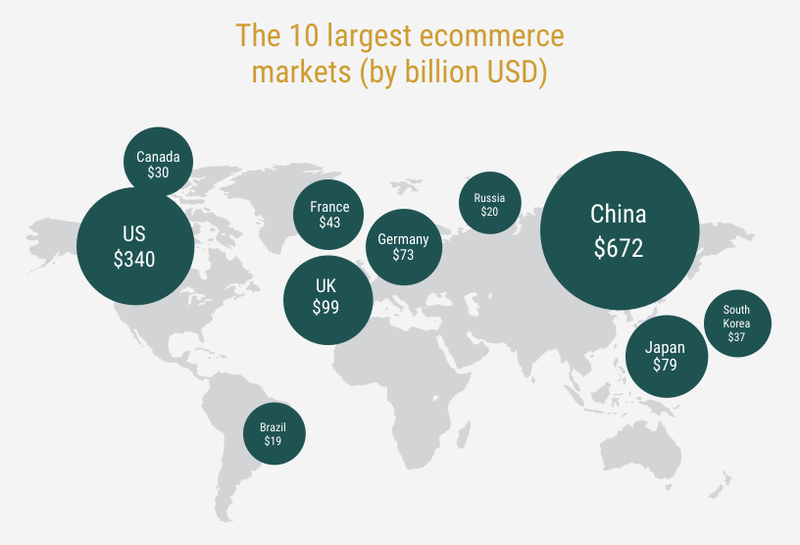 The growth of global eCommerce is mind-boggling. There are lots of changes and development has come out in the eCommerce sector in the last couple of years. 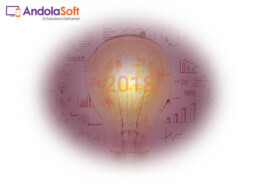 The year 2017 had great for eCommerce and in 2018 it is also proceeding with great level. In 2017 it reached around $2.3 trillion and is expected to hit $4.5 trillion in 2021. In the USA it’s growing 15% more each year compared to the retail sales. Now a day’s shoppers are no longer wants to go the nearest store; they grab the nearest digital device. The online retail ecosystem is fast evolving. It’s not the purchasing habit they are doing digitally but the retail experience has changed a lot. Before buying any product buyers are reviewing these products online at their home and eCommerce store are plying as a personal assistant for them. 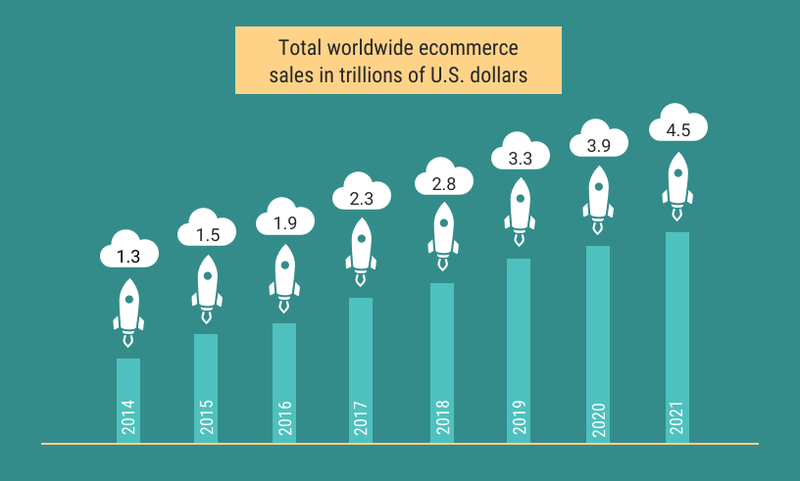 The global eCommerce sales are expected to increase 246.15% by 2021, from 1.3 trillion in 2014 to 4.5 trillion in 2021. The industry is booming and there is no sign of any fall in the near future. 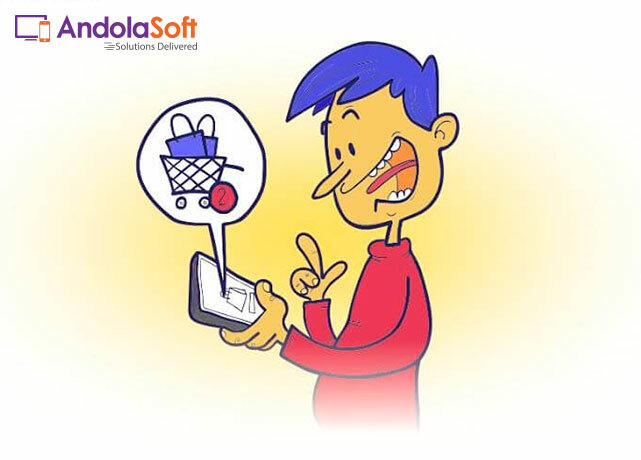 E-commerce stores with excellent digital eCommerce facility can reach your target customers. According to the market demand you need to reach your target customer to generate more revenue. To make these things easier here I am going to share the top eCommerce trends which are dominating the market in the mid of 2018. With AR and VR, buyers are able to visually testing out products before purchase. AR and VR are also helping companies to keep their buyers in website and apps more than the longer time. Consumers are also going to buy from companies that allow them the option of visually testing out products before purchase. Now a day’s voice search has become the best-preferred alternative of search. More than 40% of millennials are already using voice search before any online purchase. Voice search has become 3X time more local for users. So it’s very necessary to list your business in Google to come in the local search. “Voice will gain more prominence in 2018 as voice assistants such as Google Assistant and Alexa become commonplace,” predicts Mari Corella- a fashion and beauty eCommerce specialist. The percentages of mobile users are growing day by day and mobile purchase is also growing. So it’s important to create your eCommerce website and app 100% mobile friendly to grab more visitors. One-third of all eCommerce purchases during the 2015 holiday season was made on a Smartphone. Ignoring these trends in mobile eCommerce evolution means potentially missing out on more and more profit as these trends continue. Your eCommerce website can be more user-friendly with high-quality content, images, and videos. 360-degree images of product models can give clear information to visitors and helps to keep visitors more time in your website. High-quality videos showcase you products real context, features and motivate users to buy. More than 80% online users are converting to consumers through videos. Machine learning another big trend in eCommerce and it is similar to automation. With machine learning, you will not only save your time in automation but also you can take better decision to convert more visitors to the customer. According to Jason Stokes, CEO of Eastside Co, “E-commerce traffic is still dictated by search, but that the ways we can search are changing — another opportunity for automation and machine learning. SaaS eCommerce platforms are continuously updating their products and adding new features to keep their consumers or subscribers much productive in the competitive market. SaaS maintain speed and stable cloud on-premise system. 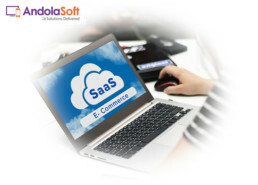 So be hurry to take a move if you are not using any SaaS eCommerce platform for your business because the benefit of SaaS is more productive for business. Now the current payment options like Android Pay, Apple Pay, PayPal, and others are providing quality and quick transactional checkout comparing to the traditional payment options. So make your website more compatible with web and mobile user-friendly and make sure to minimize the checkout process for the quick transaction. E-commerce website performance or user experience is the most important factor to stay ahead of the competition. The performance of website always matter for users because a website with high performance can bring more customers but few milliseconds issues can lose customers for your competitors. Various performance checking and improvement tools for websites are available in the market you can take the help of these to know and maximize the web performance. All we know that social media plays a great role to reach your target market and social shopping has the massive impact on eCommerce business in this present time. Social media platform like Pinterest and Instagram are two highly visual platforms where merchants can bring their products in front of the huge number of customer. In 2018, social media has become the perfect landscape in which retailers can create a buying scenario by showcasing their products on apps that customers spend most of their time with. B2B eCommerce is the fast-growing e-commerce trend and firms are spending more on technology comparing to online retails. According to the source, by 2019, B2B firms will spend more on eCommerce technology than online retailers do. The US B2B e-commerce market could reach $1.1T and account for 12.1% of all B2B sales by 2020, and over $6 Trillion worldwide. The average age of a B2B buyer/researcher is now under 35 years old. 89% of buyers search online in a B2B purchase process, with 74% doing so for more than 50% of their purchases. Over the years eCommerce trends are continuously gearing up for better user engagement and retention. As an eCommerce business owner, you need to update your business according to the new market trends to stay ahead of the competition. Hope these trends will help you in the development of your business in the mid of 2018. Appreciate if you share your thoughts with comments. 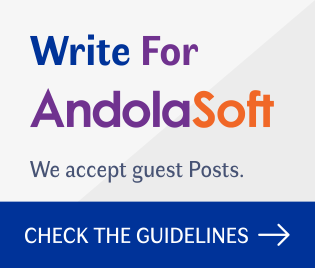 From the last ten years, Andolasoft is consistently providing eCommerce solutions and we have good name and reputation in the eCommerce world. Let’s discuss more our service according to your requirements. Get The Most Out of Ecommerce Development!